Listings of Presbyterian churches around the world. We are a bible church with a blended worship service style. We have a strong youth director with a large middle and high school group. Provides worship times, announcements, building layout, leadership directory, material for college and youth groups, and for programs and ministries. 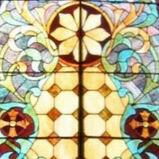 We are a congregation of the Presbyterian Church in America (PCA). We seek to be a Godly Church Family equipping Believers for building the Kingdom. A Christ-centered church with glorifying worship and Biblical preaching.